"French Report Recommends the Full Restitution of Looted African Artworks"
“The report was commissioned by President Emmanuel Macron, who has advocated for repatriation. In December of last year, French President Emmanuel Macron delivered a speech in Burkina Faso, promising to push for the return of African artifacts held in French museums. Now, a report commissioned by Macron recommends that he move forward with his plan by allowing the full repatriation of African artworks taken without consent from their countries of origin. According to the Agence France-Presse, the report will be presented to Macron this week, but copies have been viewed by a number of media outlets. The document was researched and written by the French art historian Bénédicte Savoy and the Senegalese writer Felwine Sarr, whom Macron recruited to draw up proposals for repatriation. The report focuses on items that were taken by soldiers, administrators or scientific explorers during France’s colonial period, which spanned from the 19th century until 1960s. African nations have in the past appealed for the return of such cultural artifacts, but French law currently prohibits museums from permanently handing over accessioned objects, reports Zacahry Small of Hyperallergic. Savoy and Sarr recommend that “legal mechanisms” be implemented to “allow the final and unconditional return of heritage objects to the African continent.” Then, the report puts forth a three-pronged plan for repatriation, according to Farah Nayeri of the New York Times. Within the next year, the report states, France should seek to return several “largely symbolic” objects that have long been requested by African nations—like the statues and palace treasures that were taken from Abomey, in modern-day Benin, by the French military in 1892. Changes in repatriation policies in France may put pressure on other European museums that have been asked to return looted cultural artifacts. There are concerns within the museum community about what large-scale repatriation would look like in practice. 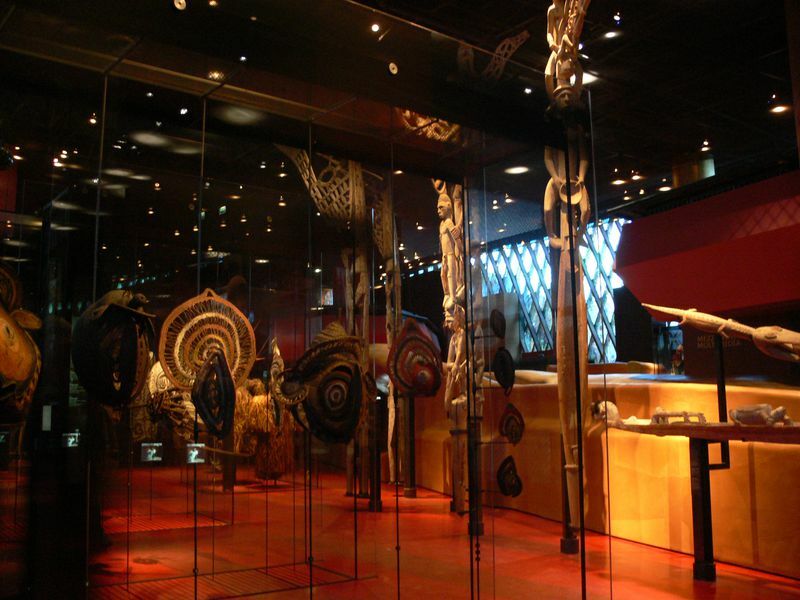 Some institutions have sourced large portions of their collections from Africa; the Quai Branly Museum in Paris, for instance, features 70,000 sub-Saharan African relics. The report also suggests that museums replace repatriated items with replicas.